Now that Americans can bring back Cuban booze without sanction, it’s likely that their rums will get a boost in sales, and if the Havana Club trademark war ever gets resolved – though I doubt it will happen any time soon – then we’ll see many more on the market. However, at this period in time, over and above the big names from the island like Santiago de Cuba or Havana Club, to get seriously aged juice that’s really from Cuba, we still have to look primarily at the independents for now. One of these is Kill Devil, named — as any rummie can tell you — after the old term for rum used in its infancy in the Caribbean many centuries ago. 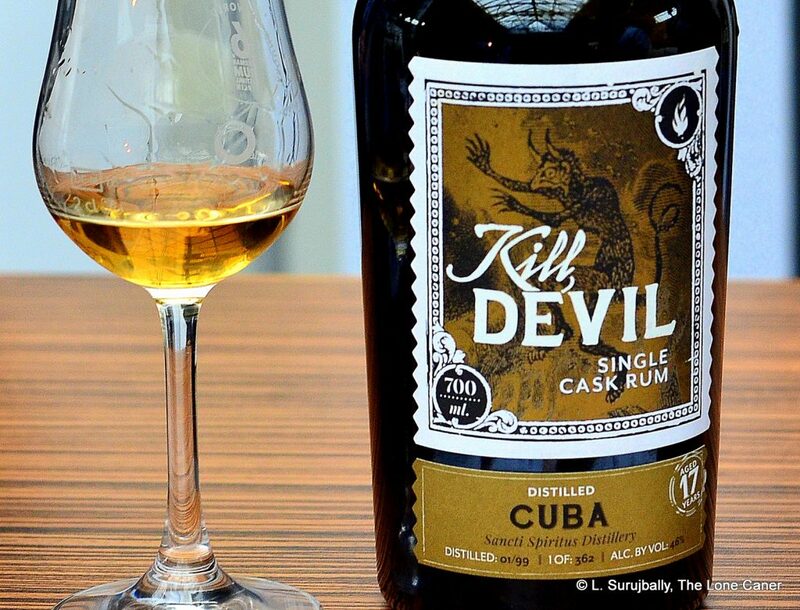 Kill Devil is the rum brand of the whiskey blender Hunter Laing, and they’ve been around since 1949 when Frederick Laing founded a whisky blending outfit in Glasgow. In 2013, now run by descendants, the company created an umbrella organization called Hunter Laing & Co, which folded in all their various companies (like Edition Spirits and the Premier Bonding bottling company). As far as my research goes, the first rums they released to the market – unadulterated, usually at 46%, unfiltered – came in 2016, and they have issued releases from Barbados, Jamaica, Guadeloupe, Guyana, Fiji and this one from Cuba. One imagines that they read the tea leaves and realized there was some money to be made in rums as well as whiskies, though by coming into the market so relatively late, they’re butting heads with a lot of other new entrants – good for us as consumers for sure, perhaps not quite as rosy-cheeked for them. 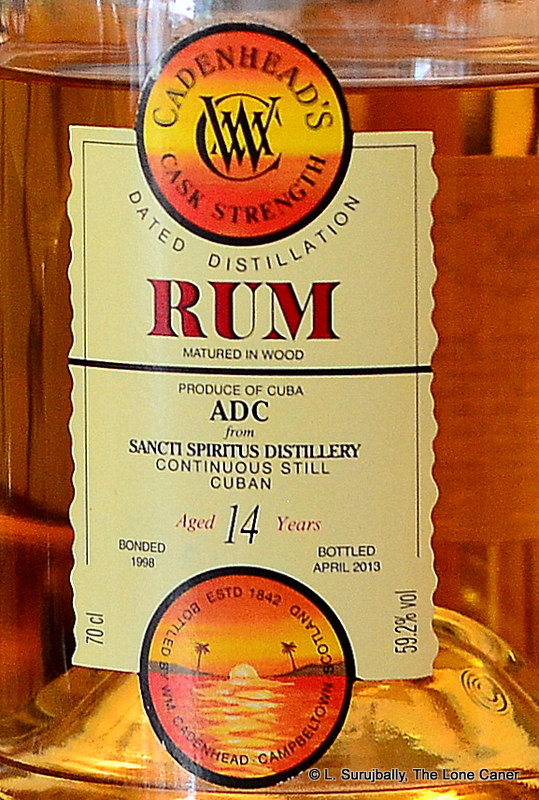 As for Sancti Spiritus, this is a Cuban distillery also known as Paraiso, dating from 1946 (there is some dispute here – another source says 1944) that is located almost dead center in the island. 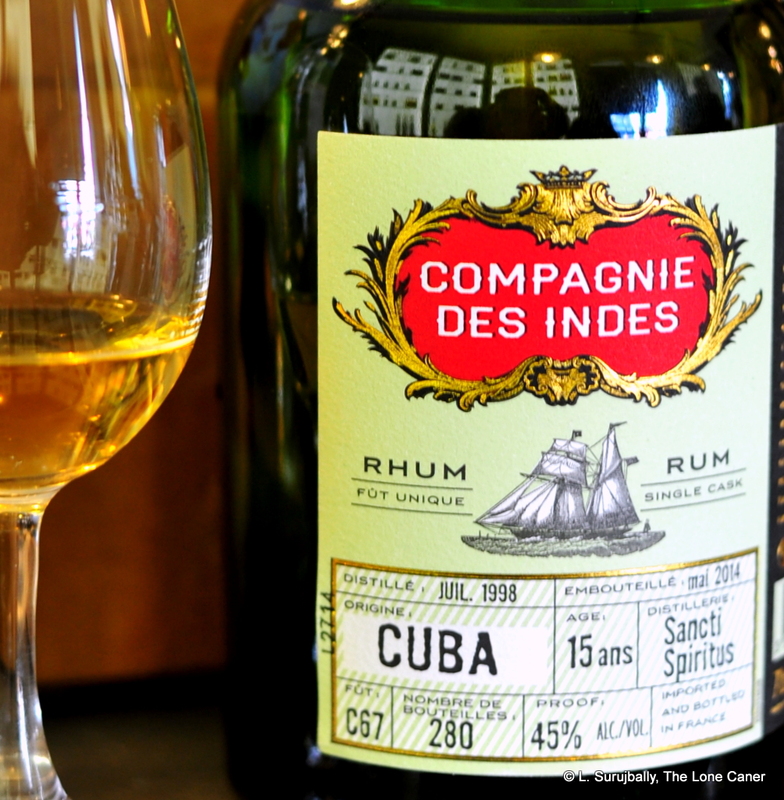 Much of what is known of their rums comes from independents like Compagnie des Indes, Cadenhead, Bristol Spirits, Secret Treasures, Samaroli, Duncan Taylor, Isla del Ron and Renegade, implying a substantial export market of bulk rum to Europe. But they also make rums of their own under the Santero brand, like the Añejo Blanco, Carta Blanca 3 YO, Palma Superior, Añejo Ambarino, Añejo Reserva, Carta Oro 5YO, Añejo 7YO and Firewater (none of which I’ve tried, to my detriment). And I’ve heard it said they supply Havana Club as well, so there’s no shortage of places for anyone with an interest to get some. Some brief stats, for the propellerheads like me: the single-cask rum here is from the above-noted distillery, coloured pale gold, distilled in 1999 and bottled in 2016, with 362 bottles released. 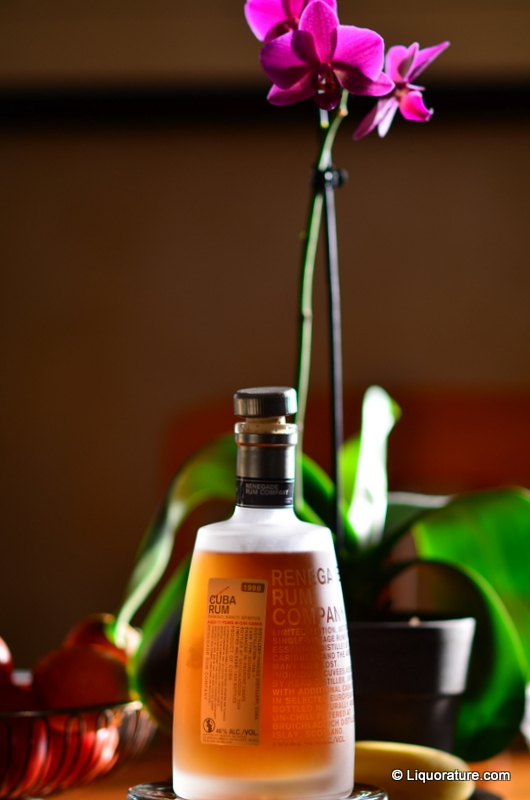 And it has a strength of 46%, similar to rums issued by Renegade and L’Esprit and others, keeping it within reach and tolerance of the greater rum drinking audience. That may be, but it was still quite a forceful piece of work to smell, much more so than I was expecting, and would perhaps come as a surprise to those who are used to softer, milder Bacardis as “Cuban style” exemplars. Presenting rather dry and spicy – almost hot – it seemed to steer a course somewhere between a light molasses column still rum, and the grassier and more vegetal notes of an agricole…without actually leaning towards either one. It had a mix of cherries, peaches and tart soursop, unsweetened yoghurt, vanilla, oak, cinnamon, nutmeg, and a very faint line of citrus running through the whole thing. It felt somewhat schizophrenic, to be honest – both acidic (in a good way) as well as lightly creamy – and that made it intriguing to say the least. As it was sipped, it became somewhat less creamy than the nose had intimated – “sprightly” might be a good word as any to describe it. It was quite clean in the mouth, tasting of green grapes, apples, cider, mixed up with something of the saliva-flooding crisp tartness of red currants, or lemons just starting to go off. What made it stand out was the background notes of light flowers,caramel, vanilla, bananas, ginnips, and wet dark brown sugar, plus those spices again, mostly cinnamon. The finish was also quite elegant, and left memories of light caramel and fudge, oakiness and vanilla, with a little citrus for bite. It lacked a certain roundness and smooth planing away of rough edges, but I suggest that’s a good thing – it made it its own rum rather than a milquetoast please-as-many-as-you-can commercial product you’ll forget tomorrow morning. Overall, the rum shows that even with all our bitching about pot still rums being better and yet not represented often enough, there’s little that’s bad about a column still spirit when done right, and the Kill Devil is a good example. Even though I don’t know at what strength it came off the line, I feel that whatever complexities seventeen years of ageing imparted managed to provide an end result that was quite a nice rum (Cuban or otherwise). Which likely demonstrates that if we want to have a good column still experience from a juice aged in continental climes, there are certainly candidates for your coin out there, and as long as you come to grips with its slightly odd personality, this is one of them. Nose – Very Spanish in its lightness. Cornflakes, cereal, lemon peel, vanilla and salted butter come to the fore. It’s a little spicy and tart for 40%, something like a lemon meringue pie, very nice actually, if a little gentle. Opens up to smoke and leather after some time. Palate – I’ve moved away somewhat from the Latin style, but no fault to be found here. Orange marmalade, a little caramel and coffee grounds and white chocolate, and with water there is a whiff of licorice, toffee, more vanilla, leavened by sharper fruits such as ginnips, red currants, red guavas…that kind of thing. Really a very nice rum. Finish – Short and delicious, quite light and crisp, with more tart fruity notes and some smoke and very faint licorice and orange peel. Thoughts – I have no idea how aged this rum is – I suspect five to ten years. Whatever the case, it’s a most enjoyable dram. Probably out of all our price ranges at this point, if a bottle could even be found whose provenance one can trust. With the opening of the American market to Cuban products, we can expect to see a lot of rums many have never tried before from companies that will surge to the fore but which until now remain relatively obscure. I really look forward to that. 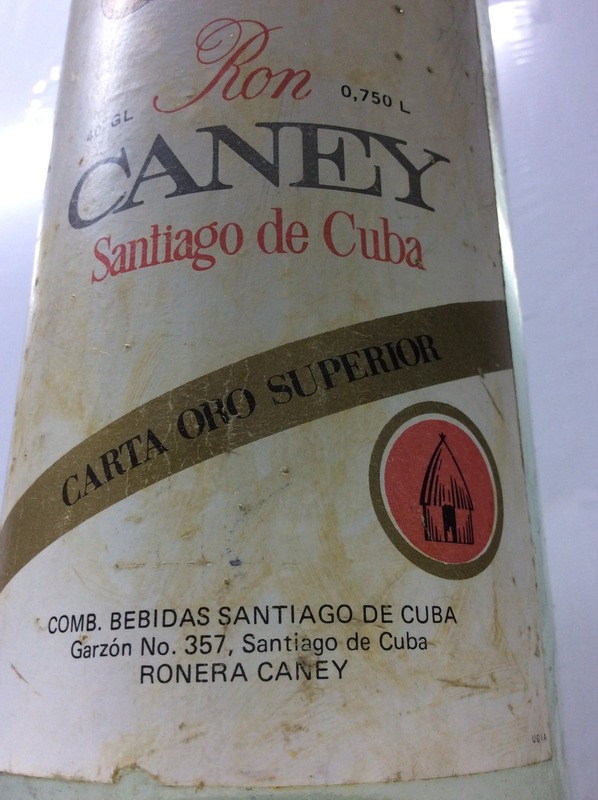 This is a Cuban rum from a company that still exists in Santiago de Cuba and now called Ron Caney: the holding company was (and may still be) called Combinado de Bebidas de Santiago de Cuba and was supposedly formed around 1862…however, it is also noted to be operating out of a former Bacardi factory, so my take is that it’s using expropriated facilities, which is confirmed by Tom Gjelten’s book, Bacardi and the Long Fight for Cuba. This rum is from the late 1960s or early 1970s, is also known as “Gold,” and for sure is no longer in production, though modern and aged variants do of course exist (the Ultimate Rum Guide has a list for the curious). 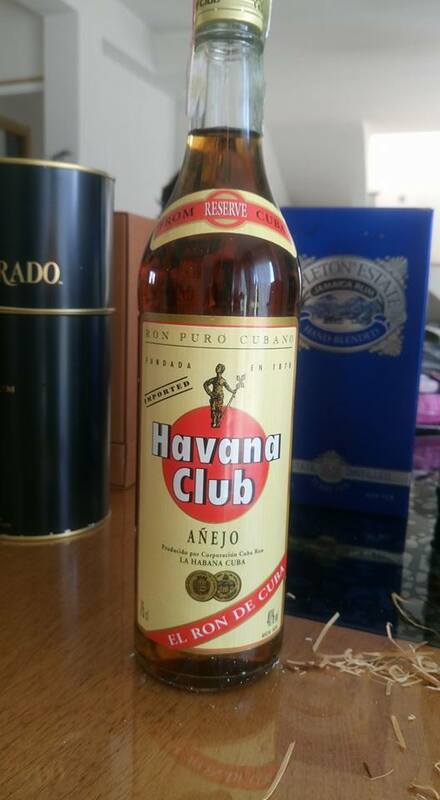 The export version is the Havana Club marque from Cuba. Picture here taken from ebay and I’m unclear if it’s the same one as what I was tasting. The actual bottle pic for the sample in my possession is very low res, but shown below. Nose – Soft citronella notes, flowers, relatively uncomplex, but laid back, light and quite clean. Some cream pie and vanilla. Palate – Sharp, clean and light, a little aggressive in a way the nose didn’t mention. Started off with a faint medicine-y taste which is far from unpleasant. Some salted caramel and cream cheese. Salty brine and olives, citrus peel, balsamic vinegar and cheese-stuffed peppers. Maybe I got a dud sample that oxidized too much, ’cause it sure didn’t taste like a normal Cuban. Still – not entirely a write-off. Finish – Short, sharp, mostly lemon peel and some candied oranges. Seems appropriate that I tried and fell in lust with this rum in Paris; it reminded me what the word concupiscent meant. For every small craft maker that opens its doors and tries to make its mark on the rum world, yet fails to rise to the levels of its own self-proclaimed quality, there’s another that does. 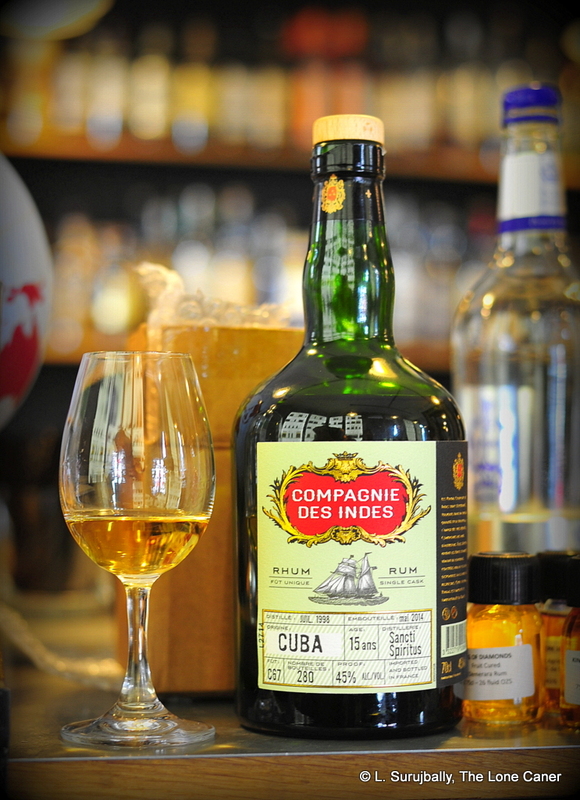 I’m going to go out on a limb, and remark that if this one sterling 15 year old Cuban rum (with a 280-bottle-outturn) is anything to go by, Compagnie des Indes is going to take its place among the craft makers whose rums I want to buy. All of them. Let’s get the history and background out of the way. The founder of this French company, Mr. Florent Beuchet, drew on his background in the rum and spirits business (his father owns a winery and absinthe distillery, and Mr. Beuchet himself was a brand ambassador in the USA for Banks Rum for a couple of years) to open up a craft shop in 2014. If Mr. Beuchet was trying to evoke the atmosphere of the long-ago pirate days, he certainly started the right way by naming his company as he did. I grew up reading the histories of the violent, corrupt, exploitative, semi-colonial powers of the great trading concerns of Europe in the Age of Empires – the British East and West India Companies, the Dutch East India Company, and many others. So right away we have a whiff of deep blue water, wooden sailing ships with snapping sails and creaking hawsers, and all their noble and happy traditions of rum, buggery and the lash…and we haven’t even cracked the bottle yet. All the usual suspects are represented in the company’s limited edition bottlings – Guadeloupe, Belize, Guyana, Trinidad, Barbados and Jamaica are some examples – but he has also bottled blends like the Latino and the Caraibes (reviewed by my buddy Steve on Rumdiaries, here), plus stuff I can’t wait to get my mitts on, from Fiji and Indonesia. And then there’s this one, from Sancti Spiritus in Cuba, bottled at 45%. The first whiff of nose that greeted me after decanting the straw-brown rum was the raw musky scent of honey still in a beehive. It was warm, light, aromatic, a pleasure to inhale. Wax, cinnamon and cloves joined the party, and then it became unexpectedly and slightly dry as it opened up. After letting it stand for a few minutes, I tried it again, remarked on its clean and clear aroma, and then to my astonishment noticed not only cedar, sawdust straw and smoke…but also mauby, a local (non-alcoholic) drink made from tree bark in the West Indies. Well now, this I had to get more of, so I went straight into the tasting, and found no disappointment there. The driness persisted – not unpleasantly – and the rum presented light and clear as the nose had suggested. It coated the tongue nicely – it was…well, clingy, I suppose (and I mean that in a good way). There again was that slight bitterness of unsweetened mauby, but also a delicate and slightly sweet floral note. The heavier honey scents were not totally absent, merely hinted at, allowing other flavours to come forward. White guavas, coconut, lavender, some sage even, all tied together by faint mint and tea leaves crushed between the fingers. The finish was excellent – not long, fruity and floral at once, smooth and heated, leaving me not only without any complaints, but hastening back to the bottle to try some more. Although I have a thing for darker Demerara rums, a specimen like this one makes me think of throwing that preference right out of the window. I can happily report that the Cuba 15 year old is quietly amazing, one of the best from that island I’ve ever had. If Descartes was correct about the separable existences of body and soul (supported by Plato, whose Phaedrus was a winding literary excursion arguing for the soul’s immortality) then we might want to apply the concept to this rum. We’ll drink the thing down and enjoy every sip, and then it’ll be gone, but forget it we never will. 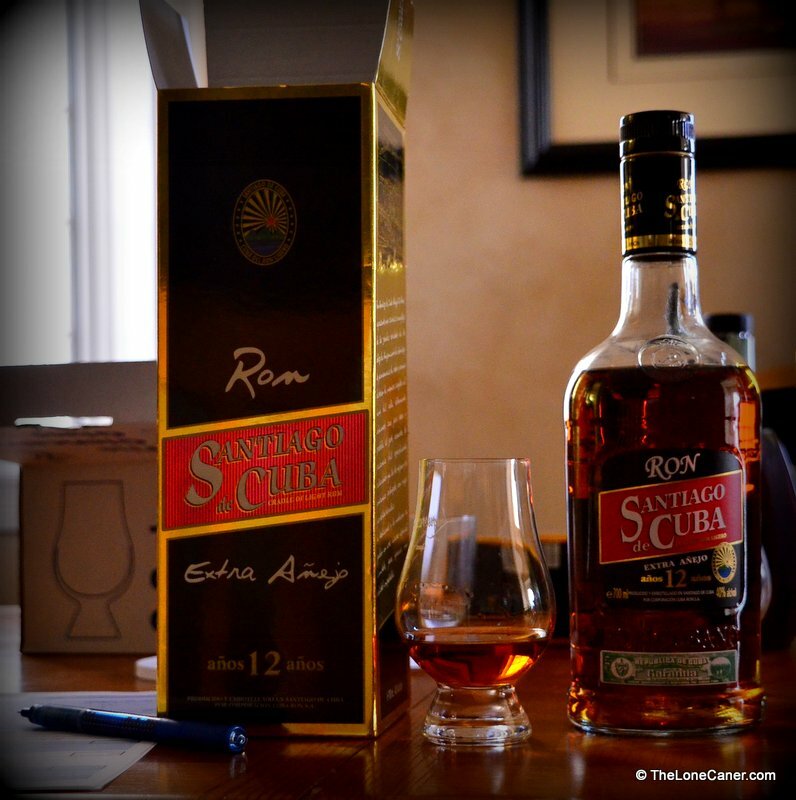 Rums aren’t humans, of course, and have a shelf life usually measured in months, not decades….perhaps their continuance in our memories and affections is the only real immortality to which such a transient substance can aspire. In this case, rightfully so. Mr. Beuchet remarks that with certain clearly stated exceptions, he adds noting to his rums, nor does he buy stock that has been adulterated in any way. Where such additions take place, he notes it up front. Like with Velier, his labels are quite informative (if not quite as stark). 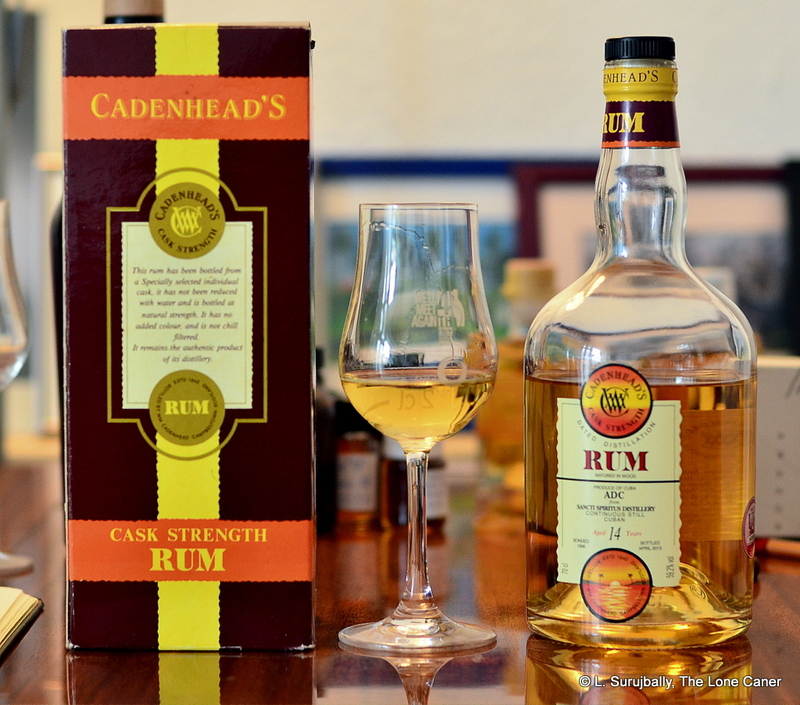 The rum is two months shy of sixteen years old (distilled July 1998, bottled May 2014). Not quite a rum, but close to a spiced or flavoured agricole, and a delicious drink for all that. Big hat-tip to Tony for this one and all the others. For those who believe Cuba makes only rums, here’s a flavoured spirit close to being one without actually stating it is. It defies easy categorization, which is perhaps why it doesn’t, even on the label, say anything about what it supposedly is (a rum with additives for taste). The issue may be its source, which is variously noted as being either a cane spirit or a guava-based distillate (it’s actually a bit of both). Like the Thai Mekhong, Czech Tuzemak or Austrian Stroh, it’s close to meeting all the requirements, but isn’t, quite. Which doesn’t make it a bad drink, just an intriguing one, and for the purposes of this review, I’ll call it a rum, ‘cause, you know, what the hell. It’s kissing close, and I’m not a total purist in these matters. What distinguished this product from the Pinar del Rio province in western Cuba to me, was its overall profile. The hay-blonde spirit immediately gave off scents of herbal lemon grass and white guavas, sugar cane peel torn off the stalk with the teeth. Sweet, soft, almost thick, and vaguely perfumed – and none of this was in any way cloying or reeking of an overenthusiastic blender’s machismo either, just harmoniously balanced. To say I was startled is an understatement. Tony (he of the famous 151 proof rumballs) brought this back from Cuba – on a whim, I suspect, just because it looked so different – didn’t know much about it, but having opened it, he loved it and brought it over for us to check out in more detail. The body and palate were a bit heated (the liquor was 40%, so some spiciness could be expected); what really was fine about it was the mouthfeel, almost silky, decently smooth and very easygoing. One could not get away from the guavas and the sweetness of almost-ripe, fleshy fruit (pears, not peaches), and here again I must stress how well put together the overall product was – there was no real excess sugar or flavoured overkill here, the way you would find in a liqueur, just a delicate balance between competing tastes of nuts, white toblerone, a flirt of vanilla and maybe some more of that raw sugar cane sap. Finish was gentle and medium long – I got less from the aromas than a lingering taste on the tongue, another thing I quite liked. 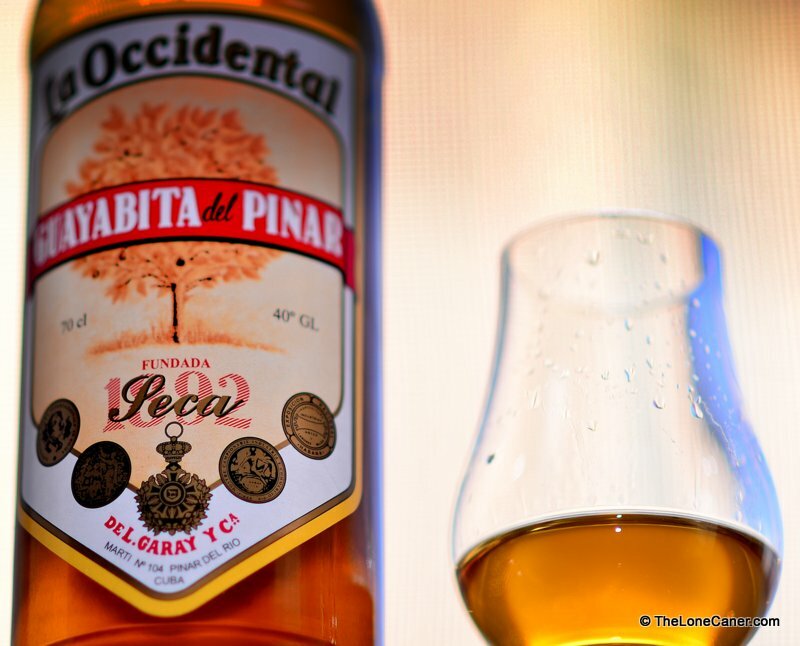 The outfit that makes this spirit – Sociedad L. Garay y Compañía – has been in operation since 1892, though I was unable to find out how it weathered the Cuban revolution. It seems to run on a semi-privatized basis these days. 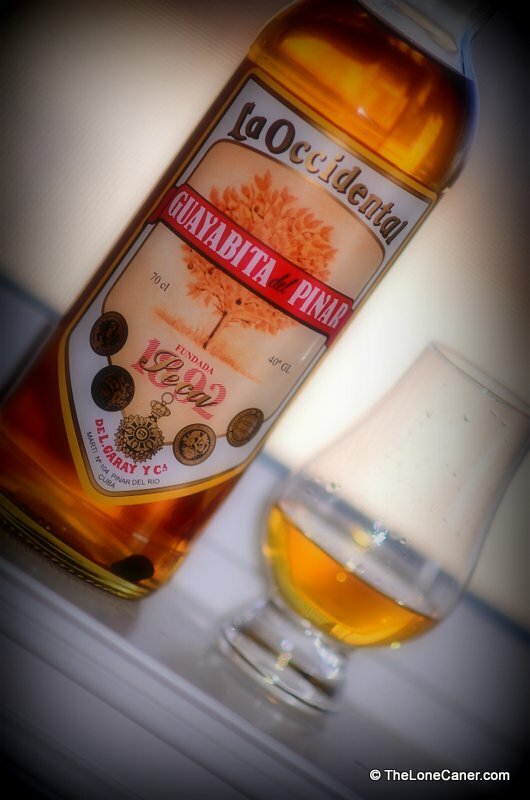 From what I was able to gather on the various Spanish-language websites I visited, the spirit is made by mixing a large quantity of the macerated guavas with a cane-derived alcoholic base, and the resultant mixture allowed to marry for about a month before being drawn off and aged in oak barrels for a further three months (for the dry “seca” version…two months is considered good enough for the sweet “dulce”). So an aged product it is not. But you know, some time back I wrote a positive review of the Hawaiian Kōloa rum which had not been aged at all yet still presented itself well as a rum, and Nine Leaves out of Japan does something similar with their “Clear” rum. This little-known almost-rum from Cuba, flavoured and sweet as it is, is a pleasant sipping product to have after dinner (or before it), something to savour with a nice tropical sundown. Don’t look for massive complexity – it’s not that kind of drink – but just enjoy it without fanfare, over ice, and share generously with your friends if that’s their thing, making sure you explain its origin and source materials before they ask the inevitable. Me, I see this as a farmer’s rum, a country rum, similar to backdam hooch my friends and I used to distil out of rice and sugar in the old days, and flavour with whatever fruits were on hand. The Seca reviewed here is made much more professionally than what we did, but the principle remains the same. And if you haven’t been aware of it before, well, it’s so damned cheap in Cuba that you can’t go wrong with dropping five bucks and at least trying it. Everyone’s heard about Havana Club and the other big brands out of the island…here’s one it’s worth your while to check out, even if you, like me, may be a bit amused, bemused and confused on the question of whether it’s a rum at all. Posted by Ruminsky at 7:30 am	Aged Rums - < 1 YO, Cuba, Rum Reviews by Country, Rum Reviews by Maker, Rum Reviews by Type, Sociedad L. Garay & Co. Tagged with: Cuba, Flavoured Rum, Guayabita del Pinar, Sociedad L. Garay & Co.
Parts of this rum succeed swimmingly, others less so. This was the second of two rums brought over some days ago, by my squaddie Tony – he of the famous 151 proof rumballs guaranteed to lay you out flat under the table in labba time. I remember having about four of these alcoholic grenades a few years back, and then having a serious and lengthy conversation with a doorpost for the next ten minutes, thinking it was the Hippie. Tony had the good fortune to visit Cuba recently, and being one of the few Caners in the whole province (he claims to have seen a few others of our near-mythical breed in occasional flyspeck watering holes, though this may be mere rumour), he brought back both this rum and the 12 year old Santiago de Cuba I looked at before. So what to say about this one? Well, first of all, it’s not of a level quite comparable to the sterling 12 year old mentioned above, but it reminded me a lot of another Cuban rum I reviewed some months before, the Ron Palma Mulata de Cuba, which I didn’t care for all that much in spite of its also being aged twelve years. After doing some research, it came as no surprise that the same company made them both – Technoazucar. The company website barely makes mention of this rum beyond some technical details, which I find an odd omission. 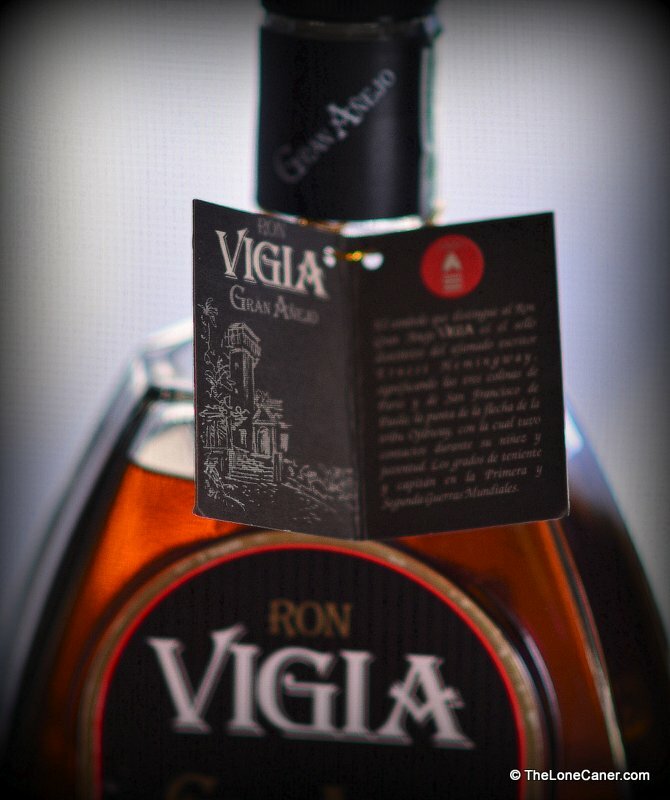 Secondly, the Vigia is made from sugar syrup, not molasses, which may account for something of its lighter, vegetal nose (the title of the rum comes from Hemmingway’s residence in San Francisco de Paula, Havana). Be that as it may, the mahogany rum did indeed have a rather herbal tang to it: dry, spicy, with hints of lemon grass, orange zest, dark brown sugar and cinnamon. Not aloofly astringent like Professor McGonnagal, more like, oh Professor Spout – plumper, more inviting, pleasantly earthy and absolutely no-nonsense. I thought that nose was the best thing about this product, though the taste wasn’t much behind. The palate morphed from the aforementioned grassy notes to something quite different – a touch of red grapes and wine surrounding the caramel and burnt sugar core. A floral background of white blossoms stole gently around these aromas, and the mouthfeel was pleasant, without drama or overacting of any kind. Not all that smooth, but not overly spicy either – it was quite a difference from the Mulata, and closer in profile to (if lighter than) the Santiago de Cuba. Certainly it was sweeter than either, I should note, just not enough to be either cloying or offensive. A medium long, none-too-special exit redolent of caramel and flowery notes, plus some crushed walnuts, light smoke and leather, rounded off the overall profile. So, the nose was pretty decent, the palate almost as excellent and the finish just meh. The Vigia was, to my mind, a youngish rum (five to seven years, I judge), one to mix in a nice daiquiri perhaps, or that old standby, the Libre. Some of my ambivalence comes from me seeing it as an agricole, not so much a molasses based product, and while I have great admiration for such rums when properly made (such as in the French Caribbean Islands), here it just seems that they wanted to produce a mid-tier rum without too much additional effort, saved their love for more top tier products, and let it go as it was. Which is strange because it’s better than the Mulata 12 year old even without that extra care and attention. How odd is that?. Very few discordant notes in this excellent 12 year old…just perhaps a little less intensity than I’m after, maybe a shade less complexity. 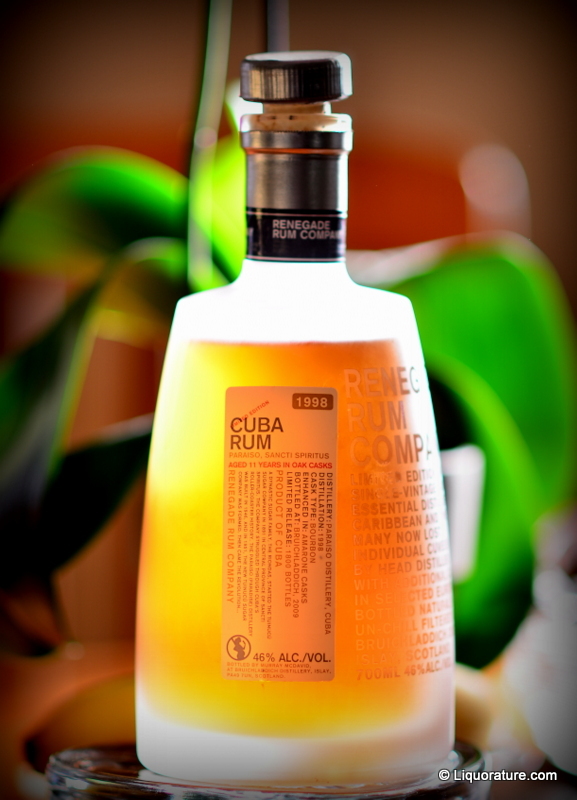 The Cuba Rum Corporation’s 12 year old rum is a very well put together product that reaffirms my belief that if the US embargo is even lifted in part, rums should be high on the list of products allowed into the country just so those poor souls south of 49 can see what they’ve been missing. This rum is proof that Cuba remains high on the list of nations making some of the best rums out there. Other bottles in the Santiago line made by the CRC are the Anejo, the 11 year old, 20 year old and 25 year old, and while it is dangerous to imply on the basis of a single tasting how others in the series turns out, all I can say is that after sampling this one (provided by my friend Antonio after he returned from the Island, in a rum tasting session at my house that was quite epic), I’m really looking forward to checking out all the others. Because this rum is very good indeed, even if it could (in my sole opinion) be made a shade stronger than the 40% at which it stands. Lighter than some of the Demeraras I’ve been trying recently, but more assertive than the softer Bajan and Panamanians, the 12 year old had a lovely mahogany colour with ruby hints, which swirled thickly in my glass, releasing a very pleasant, pungent nose of muted orange peel, cherries and sweet, light flowers. These initial scents blossomed into a rich and fruity aroma that presented notes of cherries, vanilla, coconut and (if you can believe it) cola. In its own way, it released both perfumed and deeper caramel scents, with hardly any smoke or tannins at all. As for the arrival, that was amazing. Smooth and yet heated, warm and inviting on the palate. Based just on the colour, I would have expected it to be thicker and heavier to the taste, yet it was actually a bit light and dancing as all get out, as if I had seen Jack Black turn into Gwynneth Paltrow. Some smoke, nuts, caramel, papaya and brown sugar were the various commingling notes I was tasting…but what I want to emphasize is something of the overall balance and harmony these flavours achieved, the way they merged into a mouthfeel that was, quite simply, luscious. A medium long exit left behind fond memories of caramel, ripe yellow fruits and a faint perfumed note of citrus that faded only reluctantly. This relatively dark coloured, light tasting rum could probably be bettered, but for the life of me I don’t see how unless it is to torque it up a shade. 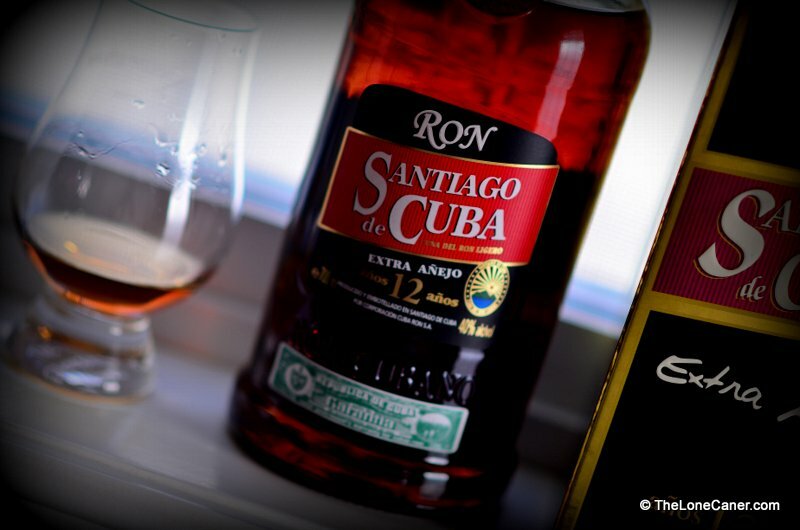 The boys who make the Santiago line – I read that the rum is made in the old Bacardi facilities which the family left behind after the Cuban Revolution – have taken the light rum methodology pioneered by the old maestros and created something quite spectacular here: its Gold Medal at the 2012 Berlin RumFest was probably no accident. It succeeds at many levels – nose, taste, mouthfeel, finish – and though perhaps my tastes these days run to somewhat stronger fare, I can’t argue with the results contained in this bottle. 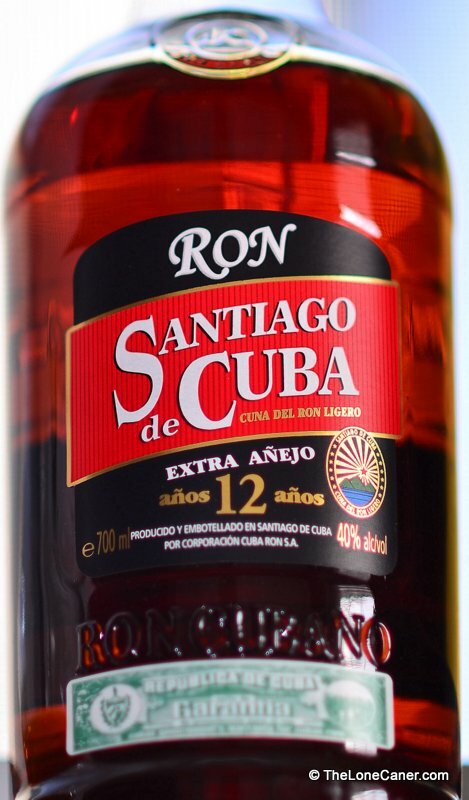 I came across a reference online that the Santiago rum (no further detail) was Castro’s favourite. That may be purely anecdotal, and I have lots of great hooch in my own stocks – but I can state with some assurance that if you have a shelf containing your own favourite sipping rums, this one can, without embarrassment or undue favour, be displayed proudly among all the others residing there.